For most of its incarnation, celebrity studies has treated its subject as a particular feature of some individuals with increased access to fame and publicity. Social media platforms, however, have altered the landscape, putting tools and affordances of the celebrity industry in the hands of ‘everyday’ citizens. Exemplified through the “demotic turn” (Turner, 2010), digital technologies now play a key role in identity creation, self-narration, and social interaction. In order to better understand the stories we publicly tell about ourselves and the identities we thus construct, we must better understand the platforms on which such activities take place and the celebrity logics built into them and constructed through them. In this talk I aim to connect academic and popular discourses on new media technologies, changes in celebrity culture in relation to these technologies, and extrapolate from those findings a better understanding of the narrativization of the self today. How do social practices, cultural production, and political action change when social networks constantly interpellate (Althusser, 1971) individuals as potential celebrity subjects? This guiding question leads to a framework of celebrity as a process guided by narration and platform politics (Gillespie, 2010; 2018) rather than a unique position held by an individual. 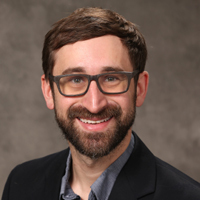 Andrew Zolides, PhD, is an assistant professor of Digital Media at Xavier University. He researches the influence economy, a framework for understanding strategies celebrities and brands use through social media to create audiences with significant value. Most recently he is studying the ways online platforms’ content moderation policies are impacting identity performances and celebrity industries. His work appears inParticipations, Persona Studies, Childhood and Celebrity, From Networks to Netflix: A Guide to Changing Channels, Televised Presidential Debates in a Changing Media Environment, and more. He is a member of the Association of Internet Researchers and has served on the editorial board of The Velvet Light Trap. Althusser, Louis. “Ideology and Ideological State Apparatuses.” Lenin and Philosophy and Other Essays. Monthly Review Press, 1971. Gillespie, Tarleton. “The Politics of Platforms.” New Media & Society 12(3). 2010. 347-364. Gillespie, Tarleton. Custodians of the Internet: Platforms, Content Moderation, and the Hidden Decisions That Shape Social Media. New Haven: Yale University Press, 2018. Turner, Graeme. Ordinary People and the Media: The Demotic Turn. Los Angeles: SAGE, 2010.